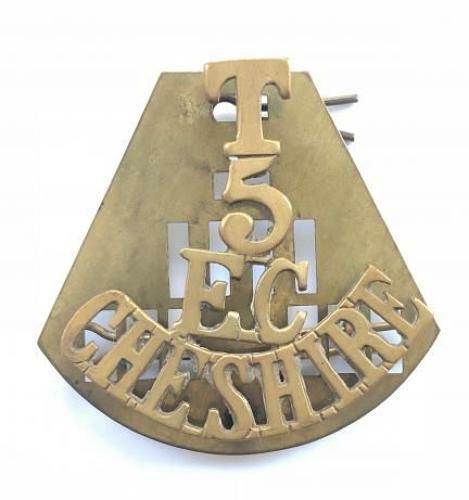 T / 5 / EC / CHESHIRE brass shoulder title. Three loops to reverse. Complete with backing plate.